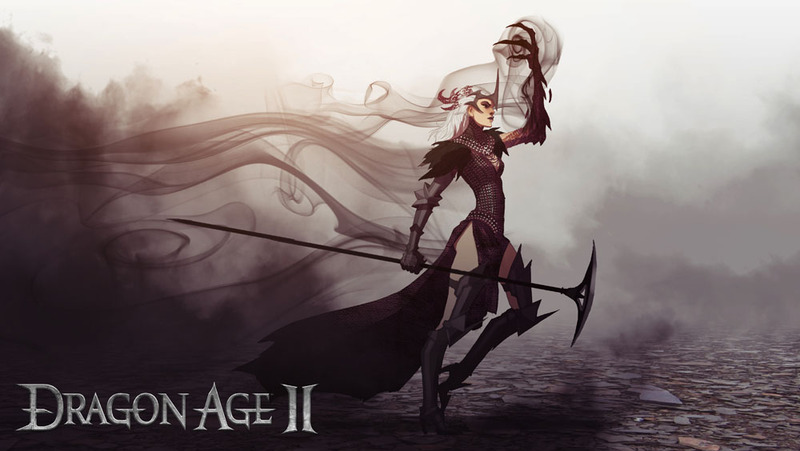 Check out these two artworks for Dragon Age II that have made the rounds during the announcement that Dragon Age 2 is currently under development. The above artwork shows off a nice cel-shaded style warrior with trails of smoke coming out of her body. Who is this character? 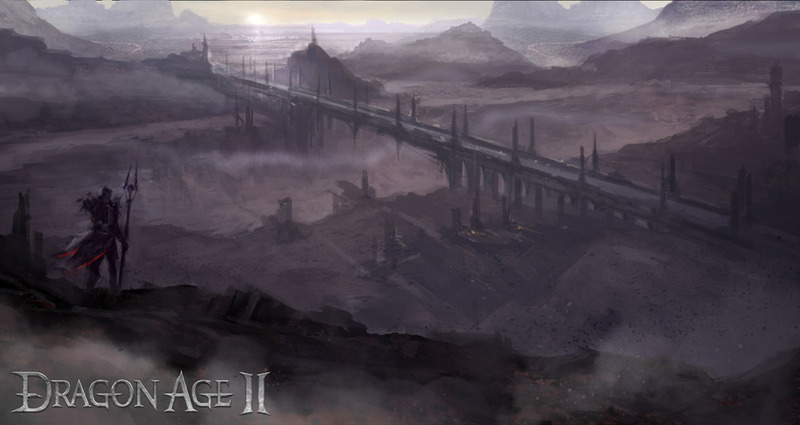 The picture below displays a lone warrior looking off into the distance of a huge bridge. Click on the artworks to view them in high res.